While 90% of NCS’ programs and services are provided under contracts with BC Government ministries, we rely heavily on the generosity of foundations, trusts, and the people of our community to support the balance of our work. Your donation allows us to reach so many more families, individuals, and youth and offer them real life-enhancing (and sometimes lifesaving) supports. You may want to consider making a financial or security donation or a Legacy Gift by leaving a bequest in someone’s name. We are very happy to speak with you more about how to do that. We have made it easy for you to donate to NCS — come into our office and write us a cheque (or give us cash), or through CanadaHelps or PayPal, a safe, secure, online service. We are a registered charity under the federal Charities Act. All donations and bequests will be formally acknowledged in writing to the donor, and all donations over $20.00 will be offered a tax receipt. This fund will be used to enrich the lives of clients participating in the counselling, outreach, and support programs of Nelson Community Services. • Personal care items, journals, books, etc. Youth coming to Cicada Place often have very few resources to support their transition to living independently. Monetary donations made to Cicada Place can help a youth in need purchase necessary household items such as linens, kitchen items- this is one of the biggest expenses- dishes, cooking utensils, pots and pans. We also have situations when youth in our program may struggle with purchasing items to meet their basic needs such as groceries, clothing for a new job, winter boots and coats and school supplies. Donations can make an impactful difference. • Start-up household items, including household linens, etc. e. Journals, pyjamas, self-care items, children’s books, etc. Using CanadaHelps or PayPal to make a donation ensures a safe encrypted transfer of your funds to NCS. as simple as planning to make a gift. Planned gifts are generally funded from accumulated resources or assets, rather than income. The most common Planned Gift received by the NCS is a Bequest. The tax benefit from a Bequest accrues to the donor’s estate. the possibilities are abundant and rich with the excitement of giving! The 2017 holiday season was made very special for many individuals and families thanks to the amazing generosity of the people of our community. The staff and Board of Nelson Community Services (NCS) wish to express their sincere and heartfelt gratitude to the many groups and individuals who donated cash, gifts, and food hampers throughout the month of December. These gifts went directly to our children and families programs, our Cicada Place Youth Program, our Street Outreach Program, and our Aimee Beaulieu Transition House Program. The care and thought put into handmade items, the carefully selected gifts and toys, the overflowing baskets and hampers, plus the incredible amount of gift cards and money all went to families, youth, seniors, and children in our area who, without your donations, would not have had much of a holiday celebration at all. 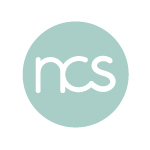 Throughout the year, NCS provides a range of counselling, support, outreach, and housing support services primarily through funding contracts with the provincial government. These funds cover the basics of our service provision, but this year we were able to add that extra sparkle to many people’s lives because of your generosity. Know that your gestures – no matter how big or small – mean the world to someone. May your hearts be full and your year ahead be filled with the happiness of sharing and giving. Thank you so much!